Please begin your fight with terrorism from France!! Close the terrorists’ headquarter in Auvers sur Oise in France!!! Your country is known as the heritage holder of one of the most progressive democracy in the world but unfortunately , I should say at the present time , your country has become a safe place for the pmoi known terrorists who consecutively escape from the law and the justice on purpose. this cult and terrorist gang has assassinated and slew 12000 of Iranian citizens during the past decades besides that this notorious and savage cult had killed and slaughtered thousands of Iraqi people in 1991 by the direct order of the Iraq dictator , Saddam Hussein . is it in your country dignity as well as in your constitution to allow these pmoi cutthroats and murderess and torturers to live in peace in your country and enjoy all kind of freedom whereas they do not legalize and accredit these freedoms and laws for others? The European union unfortunately had delisted these criminals from the terrorist list simply and by the wrong policy, but is it possible to ignore their criminal past and their terrorist record? Who is exactly the justice enforcement? are the borders of justice distorted and altered in French constitution and is there a legal vacuum? In your opinion , do we have a good terrorist and a bad terrorist in the world we living? In fact , this is a big insult to the civilized people of France when these criminals and terrorist cutthroats known as mujahedin work and live like a king in your country and the law has not been implemented and carried out against them! The Rajavi’s terrorist cult has perpetrated more crimes than the Al Qaeda terrorist organization, and why the French government has sent its troops as part of NATO mission thousands kilometer to Afghanistan soil to fight terrorism but in its soil can not implement and enforce the law and justice against the terrorists?! The Rajavi’s terrorist cult has perpetrated more crimes than the Serbian generals and we has witnessed that after many years the Serbian criminal generals have been incarcerated and arrested and they have been brought to justice in the international court of justice to be tried for the crimes they perpetrated against humanity , but the pmoi terrorists are free in Europe specially in France and in my opinion this kind of behavior towards these terrorists in France is like giving these criminal and cutthroat terrorists an award for their crimes and unfortunately I should say that the European union’s decision upon the delisting this terrorist group from the European union terrorist list is an unbelievable and shameless act and it is a confirmation and ratification of terrorism and the organized crime! ON 22 of June 2012, a number of the freedom lover Iranians who were the victims and critics of the Maryam Rajavi’s terrorist gang and were imprisoned inside the garrisons of this organization in Iraq for years and had been tortured by the direct order of Massoud and Maryam Rajavi , they had a demonstration and peaceful rally in Paris which was completely lawful and authorized by the French authorities , suddenly and unbelievably were attacked and assaulted and beaten up by Maryam Rajavi’s hoodlums and cutthroats in front of the eyes of the French people during their peaceful and legal rally in Paris. the scenes of their assault to these victims and critics were too awful and terrifying to see. On June 2007, Maryam Rajavi’s terrorists and hoodlums attacked the critics’ session in FIAP building in Paris and they began assaulting the critics and created tension and fear and savagery in that building . obviously if the French police and the French tribunal was investigating and handling their assault and savagery perfectly , we would not have faced and confronted by Maryam Rajavi’s arrogance and her bludgeoners and hoodlums’ savagery and brutality in trampling the French constitution upon the freedom of speech and the freedom of the gatherings . I am one of the victims of pmoi who was imprisoned and incarcerated in the Ashraf cultic and medieval garrison and as a result of my dissent and dissidence with the criminal leaders of this terrorist gang , Massoud and Maryam Rajavi, I was injected by the deadly and dangerous poison and I became poisoned and sick and I suffered a lot after that . have you heard such a savagery , brutality and inhumane deed in your life or in Europe and in European parties’ history? This vicious and inhumane deed was ordered directly by this bloodsucker , executioner , imposture and deceitful woman , Maryam Rajavi and her executioner husband Massoud Rajavi. If your fight with Al Qaeda in Afghanistan is not just because of your coalition with the US government , please show your honesty and dignity to the humane basics in the name of the French constitution and in the name of human rights and in the respect of thousands of Iranian families who lost their loved ones during mujahedin’s terrorist operations ,and take the terrorist Maryam Rajavi and her terrorist commanders to the French court of law and to the justice ,and expel them from your soil. Maryam Rajavi has perpetrated the crime against humanity , this criminal had ordered the killing and slaying and suppressing the Kurds and Shiais in Iraq who uprose against the Iraqi dictator Saddam Hussein in 1991. The killer Maryam had ordered the dispatch of the terrorist teams and mortar launchers to the cities in Iran specifically in Tehran for terrorist missions . 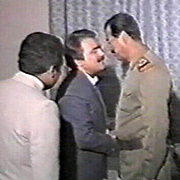 The bloodsucker and cutthroat Maryam had directly ordered the eternal light operation witch was Saddam’s proposal and as a result of that operation hundreds of pmoi members were killed and according to the terrorist Maryam and the criminal Massoud , in that operation 55 thousands Iranian soldiers were killed and wounded as well. I and hundreds of the former members of this organization were present in that organizational gathering before and after the mentioned military operation and we are eye witnesses of the crimes which were perpetrated by this terrorist cult and we are ready to testify in any court of law . With all these documents and crimes and evidence , is not possible to take Maryam Rajavi to the court of law? Unfortunately the French tribunal despite of all documents and concrete evidence and facts does not act to its duties correctly and it acts slowly . since 2003 , the terrorist Maryam Rajavi’s file which all its aspects are clear and transparent and because of that she got arrested , is open and its investigation has prolonged and under the shadow of this prolongation the terrorists are enjoying themselves in France and by holding the sticks and bludgeons in their hands are mocking the French law and the people of France. No to terrorism ! either Al Qaeda or Mujahedin Khalgh!!! Nader Naderi, a former MEK member who was attacked and beaten up by Mojahedin Khalq cult members in Paris, was released from hospital after being treated for broken ribs and other injuries. The attack on Mr Naderi took place in a busy street in Paris where a group of ex-MEK members were holding an authorized rally against violation of human rights by MEK cult leaders Massoud and Maryam Rajavi. Naderi writes in his weblog, "more than 15 members of the MEK attacked us like they wanted to kill us. I say directly to Maryam Rajavi that these violent offences will not stop me or my friends from telling the world about what the MEK have done to us." According to another ex-MEK member, who was one of the organizers of the rally, the MEK members were organized and had orders to stop the rally. Hamed Sarrafpour says, "Maryam`s terrorists hid among the tourists who were passing along the streets, they chased us and then attacked us. They don't want any criticism of their cult to be heard." 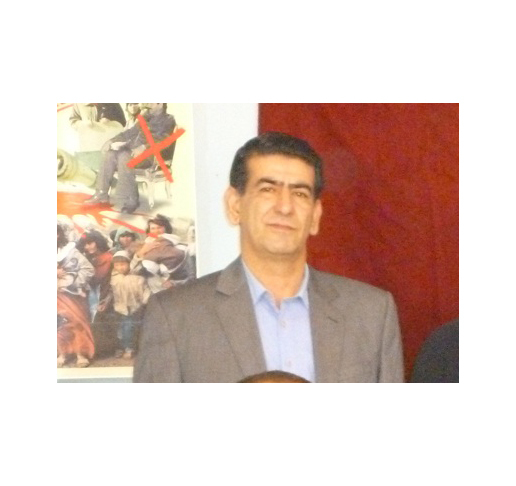 Many ex-MEK members who managed to escape from the MEK’s Iraqi base, Camp Ashraf, in recent years have testified to numerous violations of human rights inside the garrison. These include the torture and false imprisonment of members who did not want to stay with the group any more. During recent years, the MEK has spent millions of dollars in order to get itself removed from the US terrorist list (FTO). They have held rallies and invited speakers who were paid amounts of between 10 to 40 k dollars. The Rajavis run the MEK along the lines of a totalitarian cult which governs how relations are organized inside. This includes ordering members to divorce their spouses, forcing them to attend daily confession meetings and denying them access to external information and communication. French security forces have arrested 16 members of the terrorist Mujahedin-e Khalq Organization (MKO) following clashes with a number of defectors in Paris. According to a Sunday report published by the Habilian Association, an Iranian human rights NGO comprising a group of families that have lost their beloved ones in terrorist acts during the early years following Iran’s 1979 Islamic Revolution, several MKO defectors staged a rally in the Saint-Michel square in the southern suburbs of Paris on Friday to voice their resentment at the terrorist activities of the anti-Iran group. They were, however, confronted by a number of MKO members wielding knives, snap-off blade cutters, chains and baseball bats. Police later intervened to contain the violence, detained all 16 MKO members and sent them to judicial custody. On June 17, 2007, over 50 MKO members attacked a public meeting in Paris at which several people were injured. The attackers filmed their activities at the scene. It was later revealed that the assault had been orchestrated by top MKO leaders. According to French police, the assailants had been transferred from other European countries to France. None had French documents and some even had false papers. 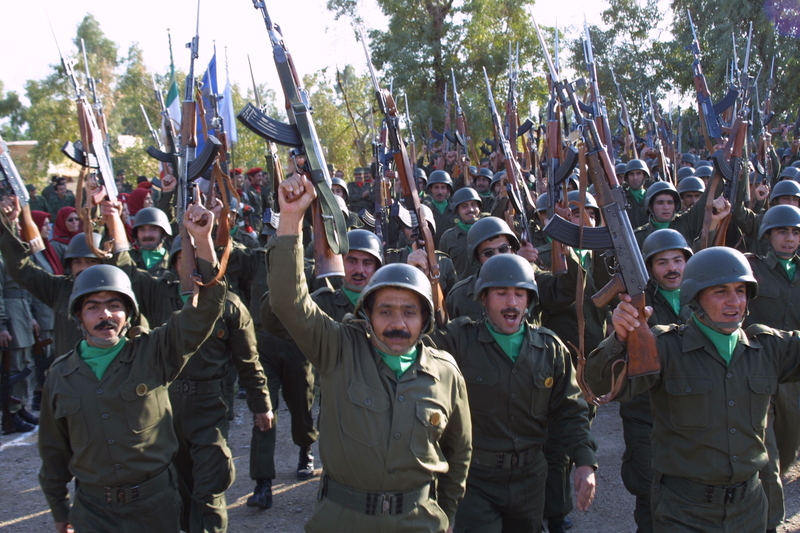 The MKO fled to Iraq in 1986, where it enjoyed the support of Iraq's executed dictator Saddam Hussein, and set up a camp near the Iranian border. The group is also known to have cooperated with Saddam in suppressing the 1991 uprisings in southern Iraq and carrying out the massacre of the Iraqi Kurds. It has carried out numerous acts of violence against Iranian civilians and government officials. For years Massoud Rajavi – that supreme egocentric – has tried to bend reality to suit his own version of how the world should be, and when actual manipulation of events has failed, has created myths to invent a reality more suited to his cultic agenda. Nowhere has this been more obvious than in the MEK’s grand vision of itself as the ‘only alternative’ or the ‘main opposition’ and the mythical tale that the MEK will ‘overthrow the Iranian regime in its entirety’. Year after year Rajavi has perpetually pretended, whether to himself or to his followers, that this is a reality. And the myth has depended on the willing suspension of disbelief of world public opinion – or at least a few political pundits – who enjoy such hatred of Iran and Iranians that they are happy to participate in the game; though not without financial recompense of course. 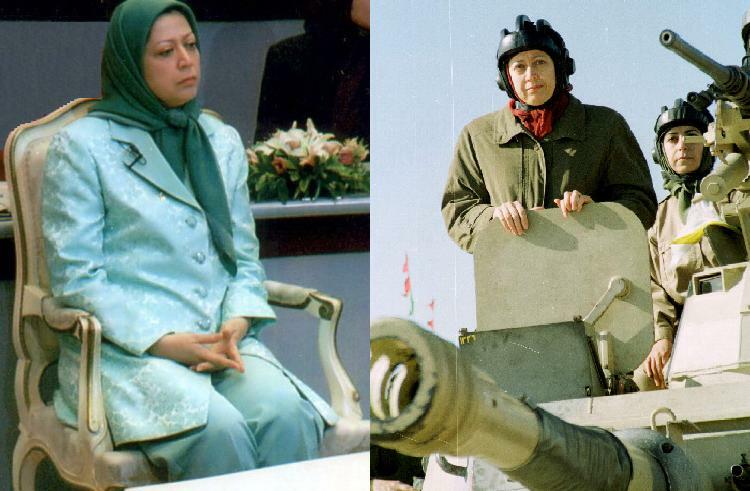 In the eighties the MEK used to organise mass demonstrations in Western countries to celebrate its armed struggle. The main event was the anniversary of 30 Khordad (21 June) 1981 when the MEK abandoned its ambition to lead the revolutionary forces and began to oppose the new constitutional government under the leadership of Ayatollah Khomeini using terrorist tactics. The mass demonstrations in Western countries were popularly supported. But as time passed by and reality impinged on Rajavi’s dream of taking over Iran, instead of bending to reality and adjusting his group’s activities accordingly, he tried to bend reality to reflect his egotistical view of himself in the world. As the MEK’s violence became more and more futile and hence more savage, the demonstrations attracted fewer and fewer actual supporters and instead became more gaudy and showy. As western governments cracked down on the MEK’s illegal and undemocratic activities they were forced to downsize – while inflating advertised attendee figures by the power of ten - and hire (ironically) exhibition halls rather than take to the streets in public. The VIPs who did turn up could, quite reasonably, have been expecting to address the ‘tens of thousands of Iranian exiles’ who, the MEK declared, had arrived in a ‘thousand buses from all over Europe’. Pictures from the event, which was held in a salon with a capacity of 10,000 standing, show a very different story. No wonder the MEK has been unable to publish film or photographs from inside the salon. The linked photographs and film were taken by former members who had slipped in unnoticed among the crowd. Several minutes into the film Maryam Rajavi is heard addressing the crowd who are still milling around and clearly disinterested in the performance on the stage. The fervent cheering comes from the actual MEK loyalists ranged in the front few rows. Behind them no one is listening or even sitting down in the places where flags have been placed on every seat for them to wave to create a spectacle to film. The MEK have paid millions of Euros to create the crowd but couldn’t organise them when they arrived. The majority ‘rent-a-crowd’ element of the audience didn’t care much where the money came from or what the event was as long as they enjoyed a free weekend trip to Paris. Even the ever-supportive anti-Iran media could only realistically describe the event as ‘Iranian led’ to disguise the fact that right minded Iranians, inside and outside Iran, actively shun the MEK. Now, how must it have felt for former New York Mayor Rudy Giuliani, former Pennsylvania Governor Ed Rendell and former US Senator Robert Torricelli to address this crowd about regime change in Iran. How much is their dignity worth? If the MEK had not held this event it would have been better for them. Even to have a small gathering of their own members and supporters would have looked better, less desperate, less like the failing cult the MEK have become. Rajavi could have spent his money on many more effective means to plead his case for removal of the MEK from the US terrorism list. But although external reality has dramatically impacted on Rajavi’s fortunes, it is the leaking evidence of desperation in the MEK’s internal situation that is the most significant. Unusually this year the MEK’s Photoshopped pictures of the meeting have been sloppily, shoddily perhaps hastily put together; several wide angle pictures concatenated to show a mass audience. But with the blurred join lines obvious on the pictures, the cracks in the MEK’s vision are exposed. And there are more fault lines in the MEK world. Over the past few weeks the MEK has issued several frantic press releases related to the slow, inevitable demise of Camp Ashraf (where Rajavi has defiantly stopped cooperating with the UN and US like a truculent teenager). The significant aspect of these missives is their dire English style and grammatical mistakes. Clearly, just as with the Photoshopped pictures, Rajavi has lost some key personnel inside his organisation and has had to make do with sub-standard replacements to create the means to perpetuate his myths. Markedly Rajavi recently lost two of his main Western stalwarts in the UK, Lord Corbett of Castle Vale who died on 19 February this year, and Lord Archer of Sandwell who died on 14 June. Such supporters have, for years, facilitated the MEK’s political lobbying in the House of Lords and of course provided other practical services and support; particularly editing English language documents. Their loss is irreplaceable. And with other Peers creaking with age and MPs subject to the vagaries of elections, Rajavi can only be staring into the well of loneliness. Increasingly lonely too are those who have, for money, positioned themselves as MEK advocates. Anyone who looks beyond the political hype and anti-Iran propaganda will see an increasing disconnect with reality. Due to the internal demand for constant indoctrination the MEK cannot hold back from advertising its ‘martyrs’ – people who die for Rajavi. This week the MEK announced the deaths of two more people in Iraq. More than anything else it is their ages - 55 and 59 – which exposes the age group of MEK residents in Iraq. Those MEK advocates – including those addressing the Paris crowd – who continue to claim that the MEK is an essential force for change in Iran really ought to save their blushes. World public opinion is not blind or stupid. Accept reality and move on. Where does the Mojahedin-e Khalq stand now? After ten years Western anti-Iran pundits are finally waking up to the fact that the Iranian Mojahedin-e Khalq (MEK) terrorist group cannot be used against Iran as long as it remains in Iraq. The MEK leader Massoud Rajavi, in a fight for his own survival, has now dug himself into such a deep hole there that the MEK no longer has any role in anti-Iran activities. Instead a ridiculous situation has arisen in which his wife Maryam Rajavi is using her Paris base to attack Nouri Al Maliki and the Government of Iraq. While the West is trying to put more and more pressure on Iran and isolate the country, the self-styled Iranian opposition has now become an Iraqi opposition with no links to Iran at all except the group of Farsi speaking former members scattered through western countries who are now suing the leaders for compensation for mistreatment in Iraq, Europe and North America. While the MEK’s paid lobbyists remain highly vocal in their attacks on the Government of Iraq (GOI) and United Nations Assistance Mission for Iraq (UNAMI), the people who still don’t have a voice are the residents inside both Camp Ashraf (aka Camp New Iraq) and Temporary Transit Camp Liberty (aka Camp Hurriya). Since the relocation process began in February numerous residents have run away and taken refuge with the Iraqi authorities. They report an increasingly tense and turbulent internal situation with violent attacks and sexual assaults becoming more frequent. Families of the residents have maintained a permanent vigil outside Camp Ashraf and now Camp Liberty for two years in an attempt to gain access to their loved ones. The GOI has still not been given the go ahead to allow families access to the people transferred to Camp Liberty. The UNHCR has begun refugee status determination interviews with individuals who have relocated to Camp Liberty. Of these, 238 residents have been formally declared refugees. To qualify they needed to renounce membership of the MEK. 1,400 more interviews are scheduled. The GOI remains adamant none of them will be able to remain in Iraq and the process is therefore ongoing. There is no reason for Europe or the US to refuse to accept those who have UN refugee status. Two-thirds of the residents, just fewer than 2,000 people, have relocated. Interestingly, among them are hundreds of people with special needs, suffering from disabilities and serious medical conditions as well as many elderly people; people whom Rajavi regards as dispensable. At least five people who were rushed to hospital with life threatening conditions after they arrived at Camp Liberty said they did not want to leave the MEK but were thrown out and told not to come back because of their illnesses. 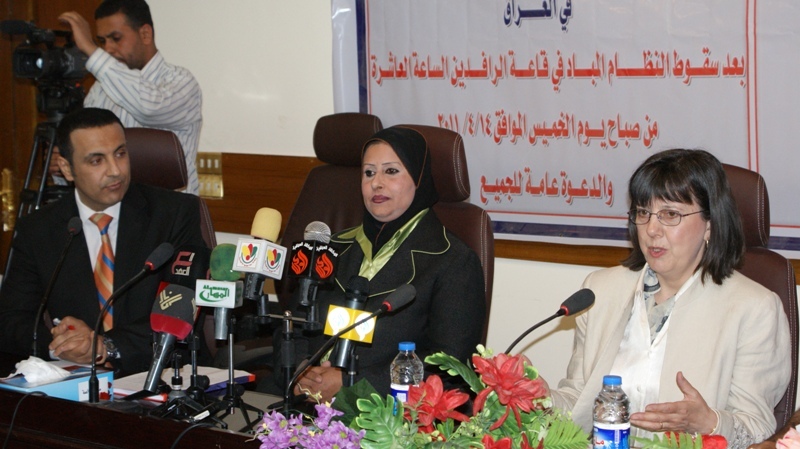 The Iraqi authorities have ensured that they have received the best treatment available. UNAMI officials reported that the relocation of MEK from Camp Ashraf to Camp Liberty had stalled since the arrival of the fifth group of residents on 5 May as the MEK refused further movement. The reasoning behind the stop is Massoud Rajavi’s hope to drag the removal process out for another four months until the MEK is removed from the US FTO list and things will then change for him. He is certainly not prepared to cooperate with Secretary of State Clinton’s suggestion – repeated on 18 June - that they should show full cooperation before she reviews their FTO status –the implication being that if they voluntarily remove to the new camp this would be enough proof they have renounced violence. Instead the MEK is setting its own agenda based on the legal ruling which gave rise to Clinton’s review. Rajavi does not regard the Secretary of State as being powerful enough to need to listen to and is looking instead to his Israeli friends to protect him. However, the Government of Iraq and the UN have said every resident of Camp Ashraf must leave Iraq and it is clear they cannot be taken off the terrorism list in this situation. To further his agenda Rajavi is using his wife’s Paris base for an advertising campaign focusing on a rally in VillePinte, Paris on 23 June. The demand is to have the MEK taken off the US list without moving the combatants from Iraq. In addition to this 'wait it out' tactic, Rajavi is also hopeful that Al Maliki's government will fall - or even that he is assassinated - and that a new government in Iraq take a more favourable position toward his group. After the MEK’s office inside the European Parliament was closed, the MEK covertly financed two new lobbying offices outside the parliament for the use of Struan Stevenson, MEP and Alejo Vidal Quadras, MEP. Both MEPs switched from the European Parliament's Iran Delegation where they lobbied for the MEK, to the Iraq Delegation to lobby for Saddamists during the Iraqi election. But these activities are balanced by a severe crackdown on the MEK’s activities. The GOI, UNAMI, European and US representatives, the ICRC and a large body of former members are showing a united front to challenge the MEK’s stalling and diversionary tactics. The GOI has tasked its diplomatic delegations in Europe to apprise the European political community of the lies and deception used by the MEK to cover its many contraventions of the law. Only days ago Maryam Rajavi was summoned to the Palais de Justice in Paris to answer charges to charges of terrorism related activities, fraud and slavery. Documents have recently been made available to the US Treasury linking an array of front organisation finances to companies and investments controlled by the Mojahedin-e Khalq’s leader. Speakers’ agencies have been warned to exercise extreme caution regarding the MEK’s methods for recruiting support for the rally in France. Those attending the rally must know they are engaged by organisations with direct links to the MEK. In addition, with the MEK’s financial sources exposed it has become possible for victims to pursue a class action to claim compensation directly from the Rajavis. Victims of the MEK, including former members who say their basic human rights were denied them for years, have launched a legal case for compensation from the companies which Massoud and Maryam Rajavi use to fund their elaborate and expensive propaganda campaigns. Their message is clear: Individuals who accept financial recompense from the MEK through its front organisations for speeches or lobbying should know that they can no longer claim ignorance and they will be pursued through the courts to recover money which should rightfully go to compensate the victims. Whether the MEK is on the US terrorism list or not there is very little tolerance for the group. It is widely regarded as finished. For those who are not involved too deeply with the MEK, it would be advisable to get out now. MEK victims warn Lobby groups - "we will claim compensation from MEK beneficiaries"
LONDON, June 17, 2012 /PRNewswire-USNewswire/ -- Iran-Interlink -- Critics of Iran's human rights record are being warned by former MEK members in Europe not to be fooled into giving support to a terrorist cult. The Iranian Mojahedin-e Khalq (MEK) wants to be removed from the U.S. FTO list and is using front organisations to lure paid speakers to a campaign rally in VillePinte, Paris on 23 June. The warnings come after documents were made available to the U.S. Treasury linking an array of front organisation finances to companies and investments controlled by the Mojahedin-e Khalq's leader. Top MEK members are also directing political support for the campaign through proxy parliamentary groups like Friends of a Free Iran. Speakers' agencies are being urged to exercise extreme caution regarding the MEK's methods for recruiting support. In the U.S., former political and military heavyweights have already fallen foul of this tactic, where several are currently being investigated for aiding and abetting a terrorist entity. Those attending the rally must know they are engaged by organisations with direct links to the MEK. With the MEK's financial sources exposed it has become possible for victims to pursue a class action to claim compensation directly from the Rajavis. Victims of the MEK, including former members who say their basic human rights were denied them for years, have launched a legal case for compensation from the companies which Massoud and Maryam Rajavi use to fund their elaborate and expensive propaganda campaigns. Anne Singleton speaking for the victims said, "Individuals who accept financial recompense from the MEK through its front organisations for speeches or lobbying should know that they can no longer claim ignorance and we will pursue them through the courts to recover money which should rightfully go to compensate the victims." The MEK was removed from European terrorist lists on legal technicalities but concerns remain at official levels about the group's propensity to use violence. In spite of their public bravado, the MEK leaders are facing harsh setbacks. Massoud Rajavi's stronghold in Iraq is being dismantled by UNAMI. His wife and co-leader Maryam Rajavi was in court last week in Paris to answer to charges of terrorism related activities, fraud and slavery. Other high ranking MEK members are being pursued for murder and terrorism offences relating to Iran, Iraq and France.